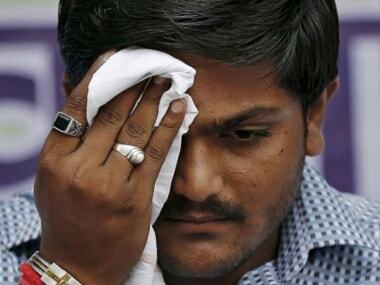 Raisen/Sagar: Gujarat Patidar quota leader Hardik Patel on Sunday said that "all three of us", referring to Dalit leader Jignesh Mevani and OBC leader Alpesh Thakore, were ready to "work in Madhya Pradesh like we did in Gujarat". He said that he was ready to support the Congress in the MP Assembly polls slated for later this year if the party asked for help, adding that his fight was against "fascist forces which are trying to divide society". "I have come for a programme of the backward classes. If asked, I would extend support to the Congress. The Congress should project a party face (chief ministerial candidate) in the coming election. 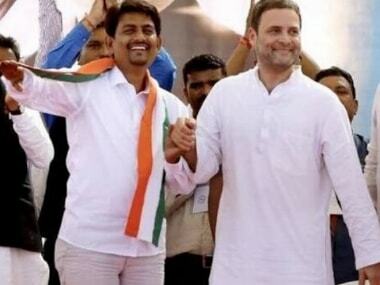 All three of us (Jignesh Mewani and Alpesh Thakore being the other two) are ready to work in Madhya Pradesh like we did in Gujarat," he said. "I am fighting against fascist forces which are trying to divide society and are trying to change the basic concept of the Constitution. 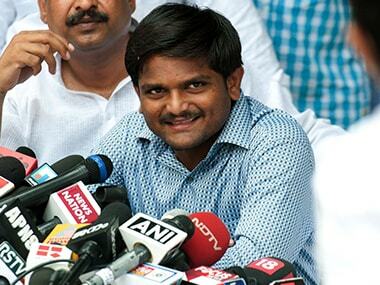 I am fighting against these forces to ensure equality for all," Hardik said. He termed demonetisation a big scam and accused the BJP of winning elections by deploying money and muscle power. Later in the evening, while addressing a gathering at Garhakota town of Sagar district, Patel hit out at the BJP saying that it feared exposure of a scam related to its Narmada conservation programme. He alleged that it was this fear that led to the state government granting Minister of State rank to some religious leaders. 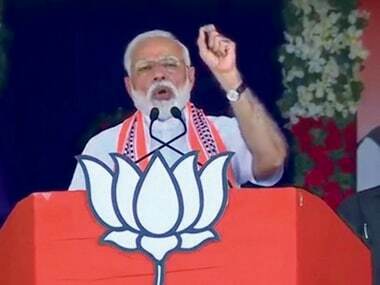 He claimed that Bundelkhand region, of which Sagar district (where he addressed a gathering) was a part, was facing problems as its people had lost the ability to fight against atrocities. 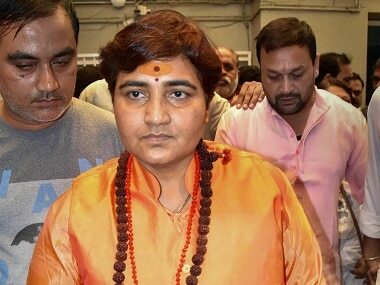 Referring to the incident at Ujjain on Saturday where a man threw ink on him at a local hotel, Patel said that the man might have been an "andh bhakt" (diehard supporter) of some BJP leader. "I have forgiven him," Patel added. Patel alleged that while the BJP had spent Rs 1,200 crore to build a headquarter complex for itself, Lord Rama continued to be under a tent (referring to the makeshift temple of Ram Lala in Ayodhya) despite the BJP promising, since 1992, to build a magnificent temple there.